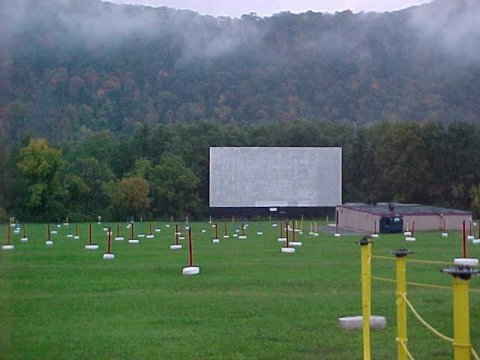 Please enjoy our list of drive-in movie theaters in New York. 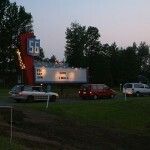 The 56 Auto drive-in has recently converted to digital projection, and is open 7 nights a week in the summer months. The theater is a solo screen, showing a double feature of first-run films. Discount coupons are sometimes available from the theater’s web page. Ticket Prices: Adults 13+ $7.50, children 4-12 $3.50, children 3 and under free. Cash only. 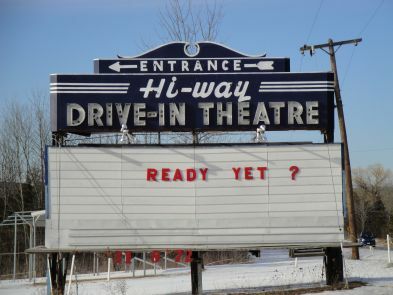 Serving the Thousand Islands area, the Bay Drive in is open 7 nights a week in the summer months (weekends only, spring and fall) and shows double features on two screens. An unusual feature is allowing patrons to switch screens during the intermission between two movies, although sometimes a small ‘cross-over’ fee applies. Cash only, although there is an ATM on site. 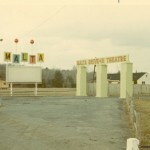 Originally built in 1950, this-drive in remained closed for many years following a fire, and was rebuilt and re-opened in 2006. 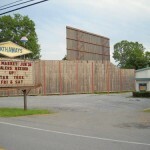 The current theater is a solo screen, showing one first-run film nightly. 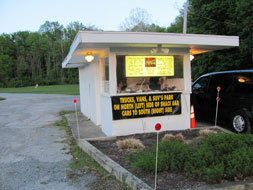 They are currently open 5 nights every week (closed Wednesdays and Thursdays). There is a raffle nightly to win a free pizza from the concession stand. 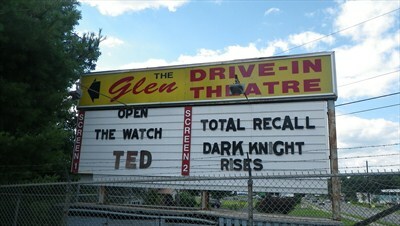 This drive-in is open 7 nights a week in the summer months, and shows double features of first-run movies on two screens. 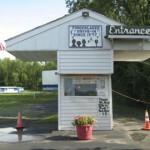 The drive-in also has a motorized child-size train available for children’s party rentals. Coupons for discounts on concession items are available on the website. 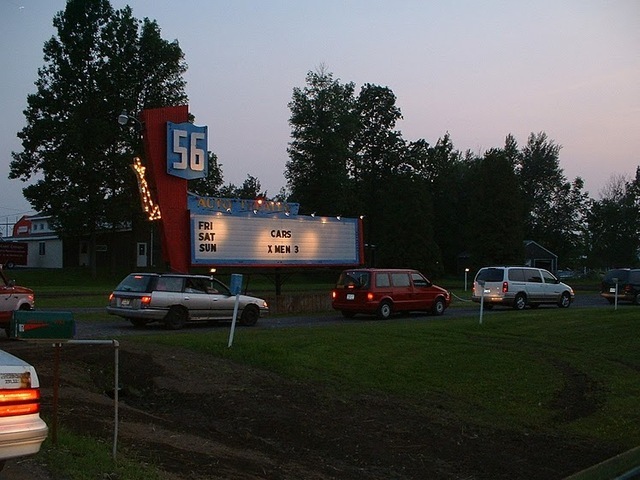 The Elmira drive-in has two screens and shows double features nightly in the summer months. 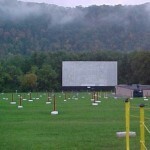 The main screen is 50 by 100 feet and is one of the largest in New York state. The projection is digital, with Dolby stero sound. Ticket Prices: Adults 12+ $8, children 5-11 $3, children 4 and under free. 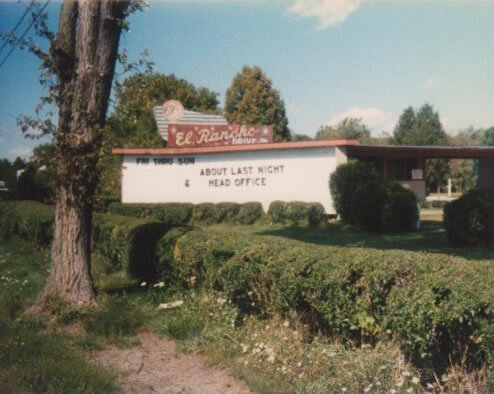 The El Rancho Drive-in has been in operation continuously since its opening in 1952. 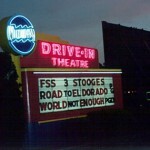 The drive-in has a single screen and shows a single feature during the week and a double feature on weekends. 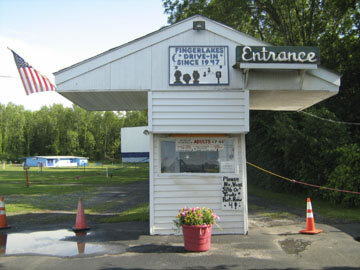 The Finger Lakes Drive-In is the oldest one in New York state, and was first opened in 1947. It is a solo screen that shows two first-run movies per night, on weekends during the summer months. 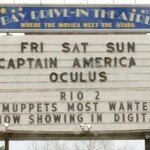 There are occasional screenings of older movies as well. Ticket Prices: Adults 12+ $8, children 5-11 $4, children and under free. Open 7 nights a week in the summer months, with two screens, showing a double feature of first-run films on each, both with digital projection. 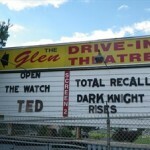 The Glen Drive in was first open in 1958, and is located between Queensbury and Glens Falls. 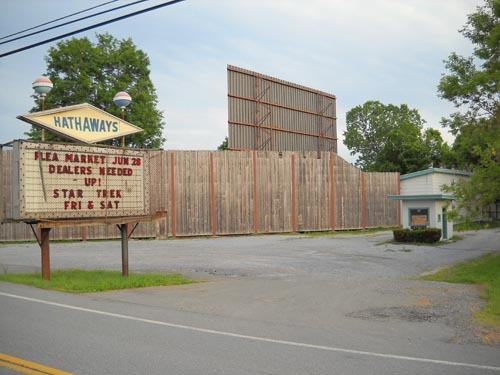 In operation since 1948, Hathaway’s drive-in has a single screen. The films vary between single- or double features of first-run and older films, and the ticket prices vary depending on what is showing. 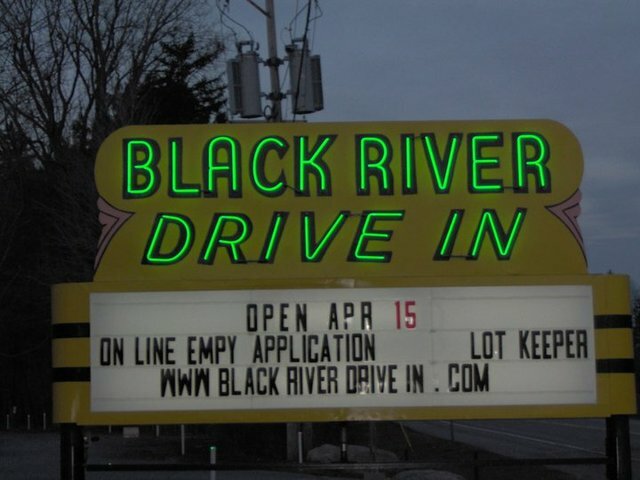 The snack bar has some kosher options, and for a $5 fee per carload (payable upon entry) the drive-in will let patrons bring in food from outside. 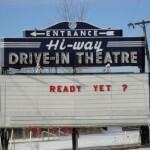 The Hi-Way drive-in has been in operation since 1951. Over the last decade it has expanded and there are now 4 screens, with a double feature of first-run films showing on each. It is open weekends beginning on Memorial Day weekend, and every night during the summer months. 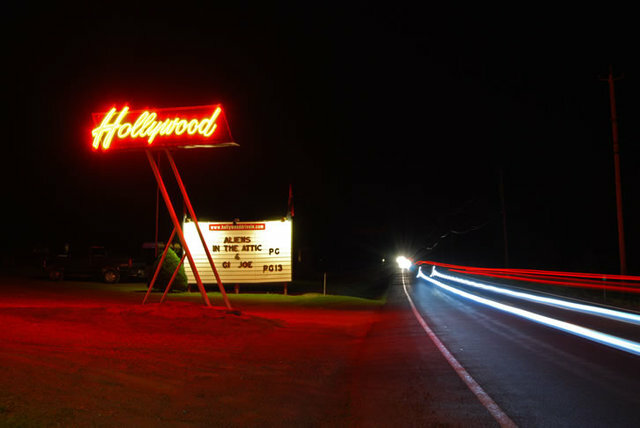 Family-owned since it first opened in 1952, the Hollywood drive-in has now upgraded to digital projection, and shows a double feature of first-run films nightly in the summer months. A purchase of popcorn from the concession stand gives you a chance of winning a prize, such as a set of free movie passes or other giveaways. 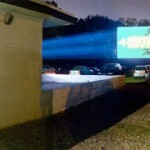 The Hyde Park drive-in has a solo screen and shows two first-run films nightly. Tuesdays are “Bargain Nite” with cheaper admission, and it is also possible to buy books of tickets at discount with no expiration date. 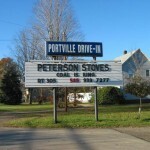 This drive-in has been family-owned and operated since its opening in 1950. 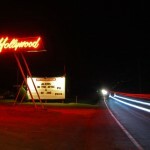 The Jericho Drive-In first opened in 1957 and is just a few miles south of Albany. It has a solo screen and shows a double feature of first-run films nightly in the summer months. There are door prizes nightly, so save your ticket stubs! 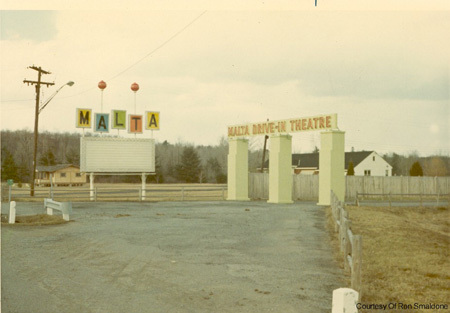 The Malta Drive-In has been open since 1949. Currently there are two screens, with a double feature of first-run films showing on each, every night from the last weekend in April until September. For a $5 fee patrons are allowed to bring in outside food. 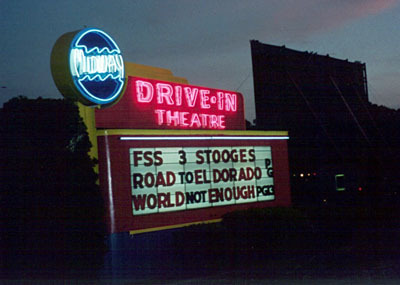 The Midway Drive-In was first opened in 1948. 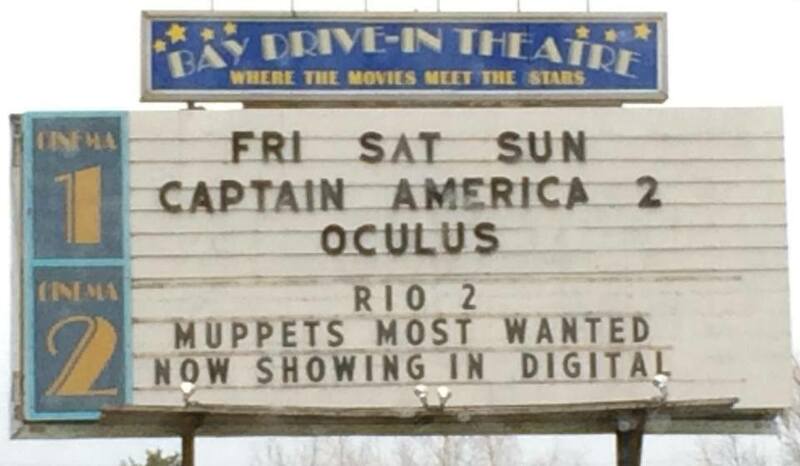 It has recently upgraded to digital projection. Currently it is open seven nights a week in the summer months, showing double (and occasionally triple-) features of first-run films. There is a nightly drawing for a free pizza. 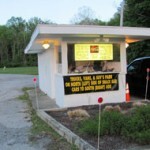 The Overlook Drive-In in Pughkeepsie has the same owners as the Hyde Park Drive-In, and thus many of the same promotions, including a weekly “Bargain Nite” (Mondays) and the possibility of buying tickets in bulk that can be used for either drive-in. 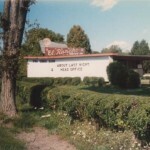 It has been in operation for over 60 years and has recently upgraded to digital projection. 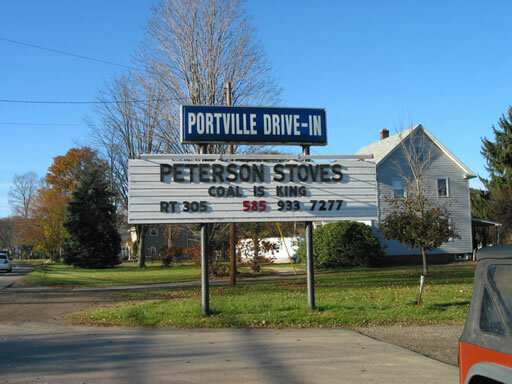 Located in southwestern New York state, the Portville Drive-In has two screens and shows a double feature of first-run movies on each. The main screen is one of the largest in the state. It is open 7 days a week in the summer months.